How Long Does Foil Keep Food Warm? 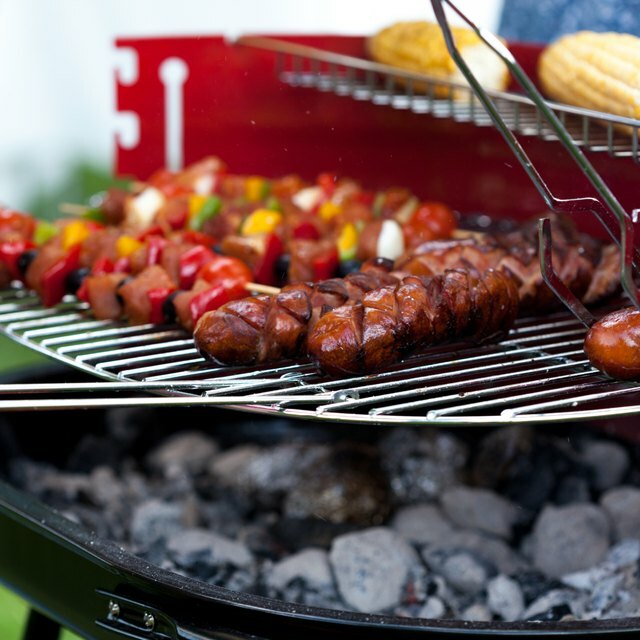 A cookout checklist can help you stay organized and have the proper options for vegetarians and meat eaters. When warm weather sets in, cookouts are imminent. As a great American pastime, there are certain foods that are traditional favorites. Creating a checklist can ensure that you stay organized, especially if you are planning a large cookout. As always, food safety is the important thing to consider, as warm weather and the handling of raw meat can contribute to illness. Always use clean plates and utensils, don’t leave food out for more than two hours and thoroughly wash produce to ensure a safe cookout. The first thing on your cookout checklist should be main course foods. Hamburgers and hot dogs will most likely be expected by meat eaters at a traditional cookout. If your cookout is for a fancy or special occasion, you may want to opt for fancier foods like steak, barbecued chicken or ribs. When hosting a cookout, you should always provide non-meat and fish options for potential vegetarians in the crowd, unless you are 100 percent sure that the people you’ve invited eat chicken, beef and pork products. Vegetarian options include grilled eggplant, veggie burgers and veggie dogs. It is also a good idea to have salmon burgers and tuna steaks on hand, as some vegetarians eat fish. The next items on your checklist should be one or two classic cookout side dishes. These include fresh green salads and corn on the cob. You can also choose one of the many egg and mayonnaise based products such as potato or pasta salad and deviled eggs. You will also want to add finger food to your list; this way your guests have something to nosh on while they wait for the grilled foods to cook. This includes plain or flavored potato chips, tortilla chips and salsa, guacamole or fresh cut veggies and dip. Fresh cut veggies are obviously the healthiest option. You can also opt for baked potato chip varieties. With all the focus on the main courses and side dishes, it is easy to forget some of the most important condiments and essentials. Adding these products to your checklist ahead of time will ensure that you won’t be caught without one of these cookout basics. Make sure you have plenty of condiments such as ketchup, mustard, mayonnaise and relish. If you are serving barbecued chicken or steak, make sure that you have extra barbecue sauce and steak sauce on hand. Additionally, add cheese, lettuce, tomato, onions, baked beans and pickles to your list if you are serving hamburgers and hot dogs. Also, don’t forget hamburger and hot dog buns. Primarily, on a hot day, you need to make sure that you have plenty of cool fresh water on hand. Guests will also enjoy fruit juices and punches, sports drinks, seltzer and sodas. For an adult beverage option, add chilled white wine and beer to your list. Because cookout foods pack a lot of calories, you can keep your cookout healthy by ending the meal with fresh watermelon or a fresh fruit salad. Other more traditional desserts to add to your checklist include strawberries and whipped cream or brownies. What Breakfast Is Easy to Make for a 10-Year-Old?